The Truth and Reconciliation Commission and its recommendations have been in the news a lot recently. Their recommendations centre around the importance of educating the Canadian public about what really happened in the residential school system. Until recently, I actually thought I knew. I knew these schools started operating in the 1800’s. 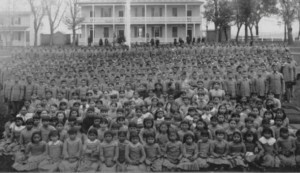 First run by religious groups, it wasn’t long before the Canadian government embraced the idea of the residential school model and took over. Since then, over 150,000 aboriginal children were forcibly taken from their families, their homes and sent to these schools, only to suffer horrible neglect or physical and sexual abuse. If that’s not terrible enough, here’s the big shocker to me. Until last month I thought the last of the schools closed in the 1970’s. Not so. That’s when the government started closing them. No, the last school closed in 1996. Only 16 years ago! For 129 years aboriginal children were denied the love of their families, were stripped of their homes, their language, their culture. So back to the commission’s call for more education about what happened. 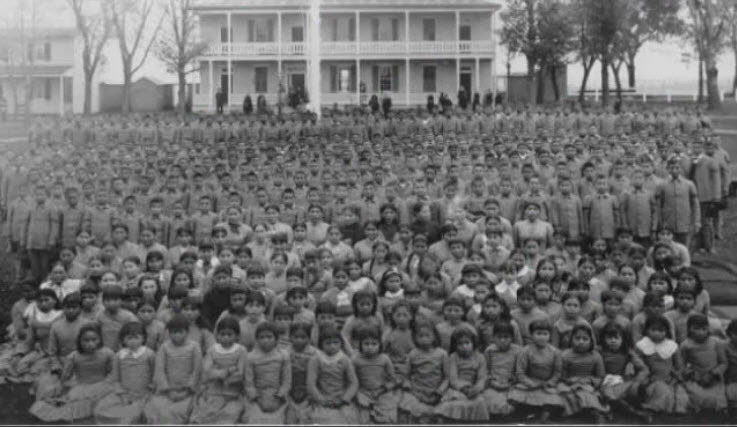 There are recommendations that the history and impact of the residential school system be taught in schools through the creation of age-appropriate curriculum. I couldn’t agree more. We also need to talk about it within our own families and social circles. We Canadians need relearn our history and understand that residential schools constituted a systemic assault on Aboriginal children and their families. One that has lasting psychological and economical impact. Wab Kinew is a CBC journalist and musician who has been working to bring attention to the history of residential schools for years. He hosts the documentary series 8th Fire which I recommend you watch. 8th Fire recounts the 500-year history between Aboriginal and non-Aboriginal people in Canada. My favourite bit in the video is when he discusses the notion held by many non-Aboriginals – that First Nations people need to ‘get over it’. It’s not about getting over it…it’s about never forgetting what happened. * Image source via UBC’s ETEC521 Research weblog.